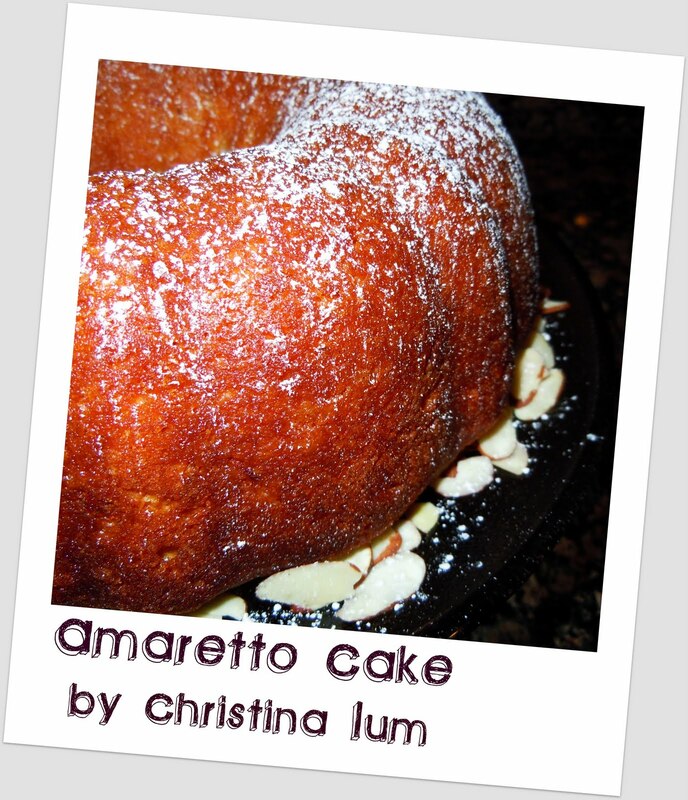 >Today my dear friend Christina Lum, shares with us her wonderful recipe for Amaretto cake. Can you just imagine that? Perfect for a nice dinner this summer, what do you think? Thank you, my dear friend for your generosity! Christina’s oven 325 º for 45 minutes. Combine ingredients well and pour in well greased and lightly floured bundt pan. When cake is finished baking, before removing from pan, poke holes in top and pour ½ of glaze in the holes with a spoon. Then turn over onto a cake platter to remove from pan and repeat process of poking holes and putting in the glaze. Note: Keep in an airtight cake pan for a few days before serving. The glaze should make the cake very moist — that’s what you want! Oh, it’s sooo good! p.s. This cake is a welcoming birthday and Christmas gift. I usually give it in a glass cake pan and tie it with a beautiful ribbon! Thank you Christina, I am blessed to call you, my friend! This entry was posted in Guests, Let's Bake by Becky Pliego. Bookmark the permalink.